Deluxe traditional soprano ukulele with solid mahogany top, back and sides. 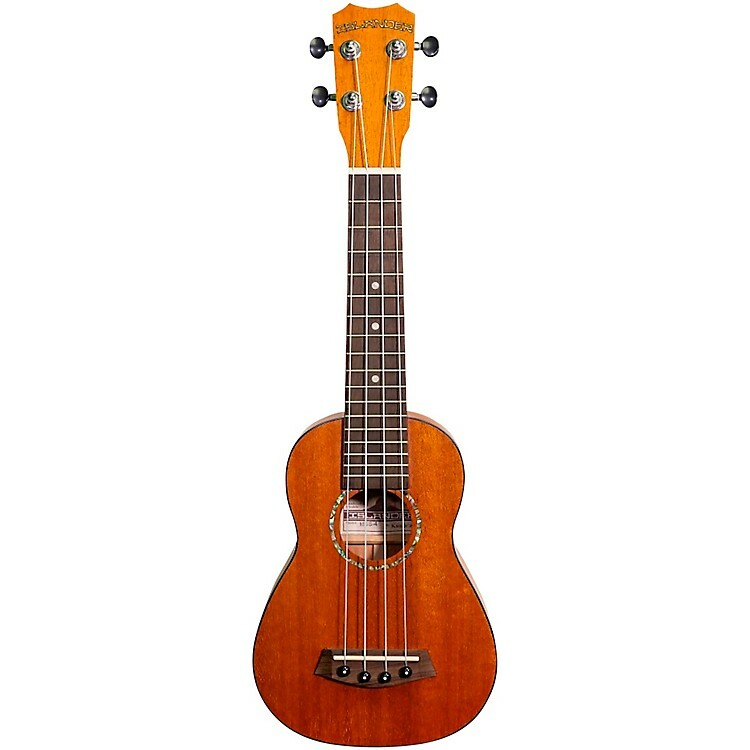 This all-mahogany soprano ukulele features an okume neck and walnut fingerboard with 17 frets. It has a walnut bridge, tortoise-style binding, abalone rosette and other appointments. The MSS-4 Deluxe Soprano Ukulele also features ABS neck dots and bridge pins for a balanced, handsome appearance. It has die-cast chrome tuners and a NuBone nut, and ships with good quality strings. The dark timbral nature of mahogany tames the sometimes overly bright natural tendencies of ukuleles. Sweet-sounding instrument. Order today.